We offer Traditional Style Bib Aprons and Full Coverage Cobbler Aprons for those extra messy projects. 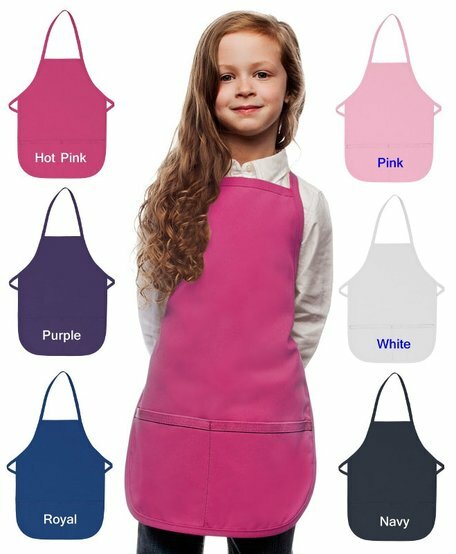 These Aprons are made from a High Quality Poly/Cotton Twill Fabric with a Soil Release and Crease Resistant Finish. 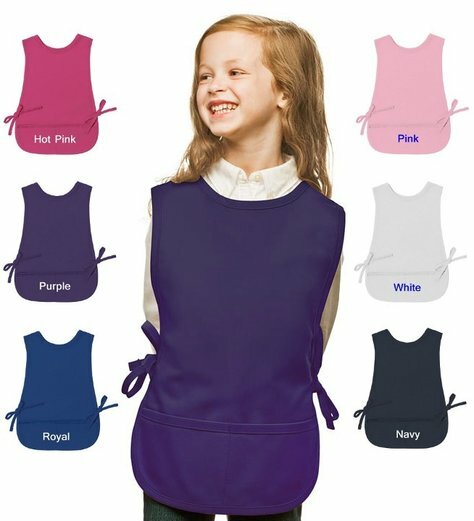 RUSH Embroidery Service is available for those Little Chefs that need a Personalized or Monogrammed Kids Apron delivered quickly. Traditional Style Apron. Add a Name and Design. Cobbler Style Apron for those Messy Projects.